Ten great students worked with and learned from great partners including the Columban Center for Advocacy and Outreach, Bread for the World, the Jesuit Conference, Network Social Justice Lobby, Omaha Together One Community, USCCB and the Ignatian Solidarity Network. 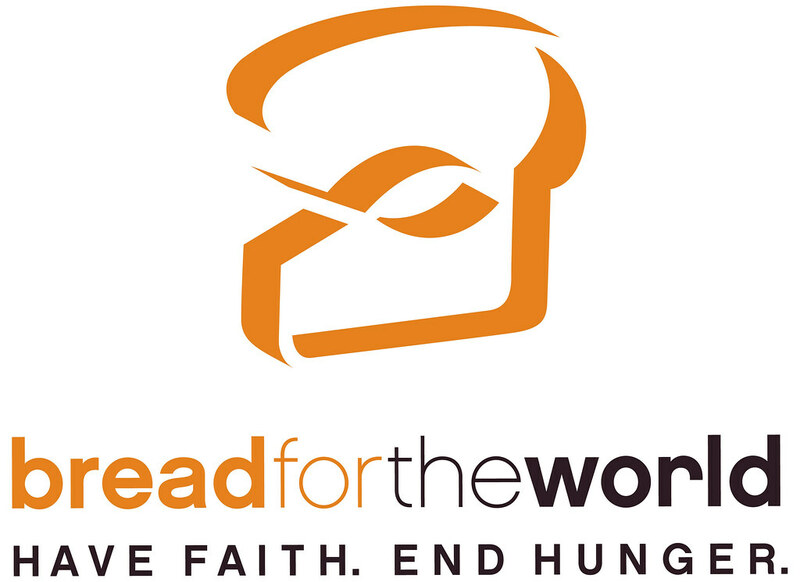 Guided by faith, Bread for the World urges U.S. leaders to end hunger domestically and internationally. Interns work with congregations on education, leadership formation and legislative visits. This past summer’s intern was Becca Green. Becca worked with, Kristin A. Ostrom, JD who is a Regional Organizer with Bread for the World, covering the states of Iowa, Kansas, North Dakota, Nebraska and South Dakota. Becca’s work this summer focused on Child Nutrition Reauthorization (SNAP, WIC, free and reduced breakfast and lunch). Becca worked with churches that have pantries to help them make the step into advocacy. Book-ending her experience with Creighton’s Institute for Latin American Concern, summer health program, Becca was working in Omaha for 7 weeks, 20-25 hours a week. Becca also traveled to DC June 7-9 for Bread for the World’s national Lobby Day! She also participated in a Hunger Justice Leaders training with others around the country. The idea of young adults taking leadership positions to learn and expand awareness and knowledge of social justice issues interests me the most about the Faith Justice Internship Program. I think it is admirable and empowering to see students passionate about working with the internship partners. It is so important for people to be aware of the needs of our world. And this program gives young adults the opportunity to be hyper-aware, which I believe is the motivation and driving force behind any kind of change a person wants to make. I hope to effectively educate students on campus in conversation about the social justice issues I work with, especially students who I hear talking with judgment. I hope to use my knowledge and experience as an inspiration to keep learning about issues and social change. I would love to do some kind of consistent meeting throughout the year with other interns from the program so we can grow from and motivate each other. It would be awesome to create some sort of awareness event to do each semester, similar to the “Whispers from the Streets” that SCSJ helped put on last year. The Jesuit Conference advocates on domestic and international issues of social concern before government bodies and corporate entities. Issue areas currently include: immigration reform, Central American migration, forced displacement and human rights in Central America, criminal justice reform, juvenile justice, and economic justice. The responsibilities of student interns may include assisting with the development of research and resources on various advocacy issues; researching areas related to emerging human rights issues within the Jesuit worldwide network; assisting with policy briefs, reports and developing outreach materials; assisting with advocacy by undertaking legal research on corporations and policy issues that are foci of our shareholder advocacy; and assisting in the development of advocacy materials particularly on issues concerning immigration, border militarization, domestic poverty, U.S. Policy and human rights in Central America, and juvenile/criminal justice reform. Last summer’s intern full-time undergraduate intern from June 8-August 2 was Shayna Bartow. The office’s two other interns were a Jesuit scholastic and the other is a senior at Boston College. As a junior who is getting ready to graduate in the fall, I have reached a point where I am very critically discerning my vocation, and the career I wish to pursue once I graduate. Having been greatly involved with the SCSJ, I have been able to learn a great deal about the social justice issues that our nation is currently dealing with. My learning, however, has not stopped there. Through social analysis, reflection, legislative visits, and advocacy I have gained further knowledge about advocacy and policies that are working to combat these injustices. Although I have grown a lot, I believe direct involvement through an internship will allow me to gain priceless experience that will only help me to further discern my future. Along with that, I am very eager to start using all of the things I have learned to become a more active advocate for change here in Nebraska. A faith and justice internship will give me both the mentors and hands-on opportunities I need to become and stronger and more skilled advocate for change. This internship focuses on connecting advocacy with the work of Columban Missionaries around the world. Interns spend the summer learning how to advocate and organize for social change through the lens of Catholic Social Teaching in the Nation’s Capital. Each intern follows an issue, learns how that issue affects the people and environment in countries where Columban missionaries serve, and learns how to respond! The internship is eight weeks and takes place right across from Catholic University, walking distance to communal housing for the interns at the Franciscan Mission Service house. Housing and a small stipend of $400/per month is provided as well as a travel stipend to off-site meetings and events. Interns post to the CCAO blog once every two weeks and connect with other Catholic organizations in D.C. to network and learn what other Catholic groups are doing in DC. Part of the internship this year is a one week experience at the Columban Border Mission in El Paso, TX. One of this year’s 4 summer interns was Erin Odom. Erin researched and advocated on Human Rights issues in Pakistan, Burma, and North Korea. The thing that interests me the most about the Faith Justice Internship Program is that it provides students with amazing ways to bring our Ignatian values and Creighton educations to important real-life issues that need people, especially young people with lots of passion, to lobby for them. Making a real difference with the amazing opportunities that have been provided to me is what I hope to do for the rest of my life, and this program is an amazing opportunity to begin this by lobbying for those without voices themselves. My faith life is my foundation. Faith is what drives my entire personal mission, which is to do good through service. Whenever I get discouraged or upset, I use my personal spiritual life to guide me through the tough times. I also use my faith community to do service, as evidenced by the Cortina Community. From using Catholic Charities resources to find service sites to praying in solidarity with those that are oppressed in the world, faith is a great way to become connected to others in our world community. My attitude towards service I got from my mother and father, who demonstrated to me how important it was not only as a Catholic, but also as someone who lives in a global community to do service. They would always tell me “to whom much is given, much is expected,” and that is the guiding principle I use throughout my service life as well as my life in general. I hope to share my experience with those in the Ignatian Advocacy Groups, as well as with the Cortina Community. I also hope to bring this knowledge to the business school through encouraging strong, ethical business practices that address larger issues than just the American consumer. I believe that business is a hugely powerful force that when led by moral people, can enact hugely positive change, and I hope that through the knowledge I will gain, I can help people enact this change. Gwen McElhattan also worked with the Columban Center for Advocacy and Outreach in Washington D.C. Gwen researched and advocated for Environmental Justice: protecting the environment, including climate change adaptation funding, sustainable living, access to clean water, use of renewable energy, reduction of carbon emissions, and rejection of GMOs. Especially this year since I started working at the SCSJ, I am inspired to work with and for justice. The SCSJ helped me fully realize what career path I truly wanted. With this, I knew that this summer I wanted to continue furthering myself in the professional field of service and justice by applying for an internship position. I know that working with an internship program in the summer will help me learn new professional skills, new insights, and further aid me by giving me the chance to experience justice work in a new realm. The SCSJ has taught me who I am, and while I am away from it I know that an internship will be the best possible plan for me to better myself through the (non-violent) fight against injustice. I have faith in humanity and faith in the power of rightness. We are beings that should not be focused on hostility, racism, sexism, or judgments, unless we are focused on fixing them. I have lived my whole life brought up in a family and schooling that has taught me the importance of a spiritual life. My faith and my spirituality continue to push me as my want for a just and peaceful world. I am dedicated in the way that I know the answers to our problems are through those who work for service, justice, and peace. I am committed to spending the rest of my life doing this, and I truly believe that this internship is the next big step in my life. Everything I learned from my internships would help me when I come back to Creighton. I would spread my knowledge through my work at the SCSJ and the trips I will go on. This year, this unique opportunity took place July 28-31 at John Carroll University. Students from Jesuit & other Catholic universities gathered and developed their leadership capabilities, passion for social justice, and spiritual life in the Ignatian tradition. Participants designed community action plans in order to apply what they have learned to their campus. These plans aim to address and diminish injustices locally and internationally. The Ignatian Solidarity Network’s University Leaders Summit really solidified why I decided to continue my Jesuit education in college. During the week, we met 28 other Jesuit university students who are involved in social justice programs on their campuses already and we talked about issues, made concrete action plans to engage in an issue (ex: immigration reform, sexual assault, and LGBTQ equality), and had some fun too! What excited me most about the whole experience was that there are people in college passionate about the same things I am and if we all just work together, we can make social change happen. My plan is to engage the Cortina Community in my justice-oriented work after weekly service. The Summit really deepened my commitment to a “faith that does justice”, a principle component of Jesuit higher education. I’m looking forward to more service and justice opportunities with my peers at Creighton and within the larger Jesuit network in the United States! Interfaith Worker Justice (IWJ) is a network of people of faith that calls upon religious values in order to educate, organize, and mobilize the religious community in the United States on issues and campaigns that will improve wages, benefits, and conditions for workers, and give voice to workers, especially workers in low-wage jobs. As an intern, you’ll be placed at local unions, interfaith committees or workers’ centers across the country, where the responsibilities may include outreach to the religious community on labor issues to involve them in local and national campaigns, and organizing workers who want a voice in their jobs. IWJ has affiliate networks in 17 cities throughout the US and requests can be made to IWJ in regards to placement. Please see this link for the placements. You could choose to live at home if your near a worker center or be sent to another city. Work in Omaha with the local IAF Affiliate working with congregational/broad-based community organizing. This summer the Community Action Teams that can use help and support include Mental Health, Medicaid Expansion, Immigration, and Sustainability. Summer training in Omaha or California are possible. Students will work with OTOC leadership to use their skills in areas of training, accompaniment, and individual meetings. Office work and social media work is needed, but not the majority of this work. Reflection and check-in meetings with local leaders will help with reflection. For more reflections from past interns, visit our internship reflections archive.